The internationally acclaimed architect’s grounds of his Hamptons estate on Long Island, New York—a lush garden oasis masterfully transformed over the course of two decades. Peter Marino’s quintessentially American landscape is a combination of organizational rigor and a joyful informality in the use of plant materials. The gardens feature carefully curated plants, trees, and flowers on twelve acres including a “color wheel” of purple, pink, red, and yellow gardens, evergreen trees, an apple orchard, a formal rose garden, and nearly forty works of art by François-Xavier and Claude Lalanne. Seasonal floral highlights include the colorful blooms of azaleas in the late spring, roses in June, and hydrangeas in the summer. 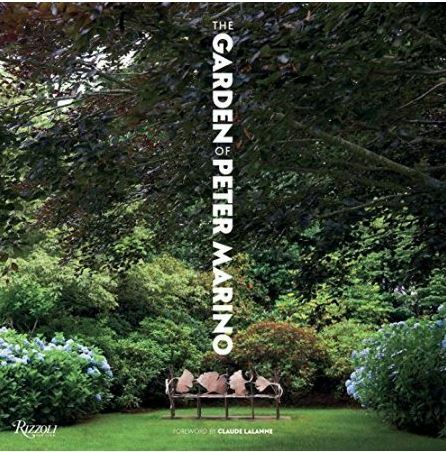 This book shows the landscape in different seasons and moods, captured in both a laid-back grandeur— sunny vistas, moonlit moments, the beauty of natural elements and sublime works of art—and in a moody atmosphere, when the dramatic light after a summer storm imbues the garden with a romantic haze. The garden is presented as a picturesque example of a first-rate contemporary landscape and as a dreamlike Eden.